Well-being or health is a tangible means to happiness. We believe that if you can accomplish just one aspect of healthy living for yourself or the world around you then you’re already making steps towards a better and happier place. 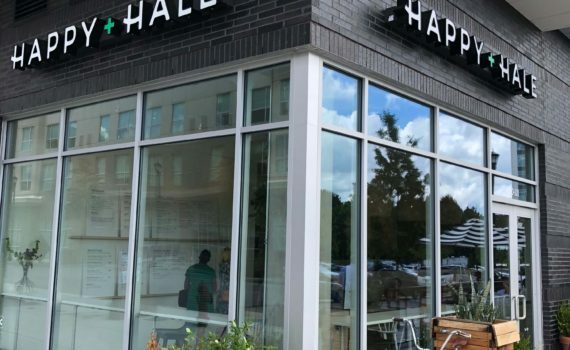 Happy + Hale is committed to ensuring our customers, employees, and partners have access to these steps, because we are in the business of well-being. We make that possible by producing healthy fuel that nourishes the body, fulfills the soul, empowers the community and balances the planet. What is Healthy Fuel you ask? Healthy Fuel is freshly made juice, it’s yoga in the park, it’s hearty protein bowls, it’s supporting community gardens, it’s composting the majority of your waste, it’s everything you need to get yourself to healthy and happy.